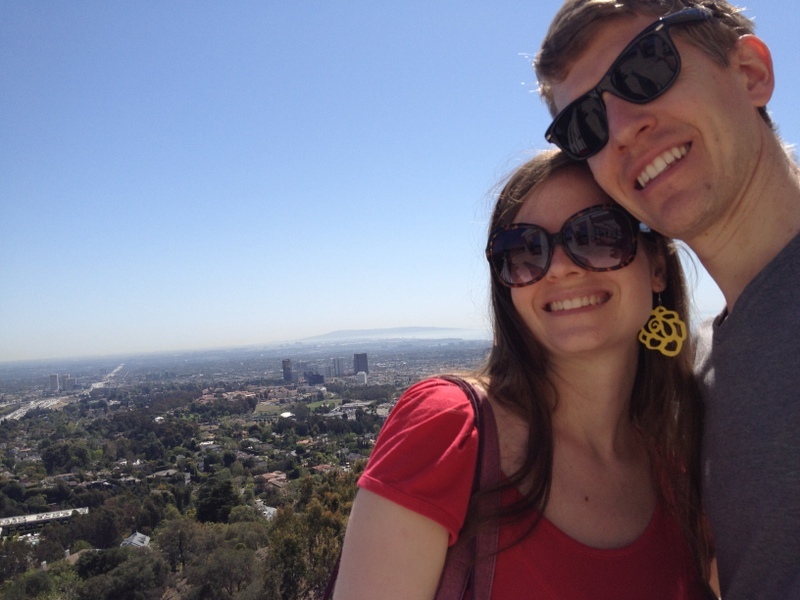 A few weeks ago Eric and I went to the Getty. We’ve lived here for almost three years, and we had never been! 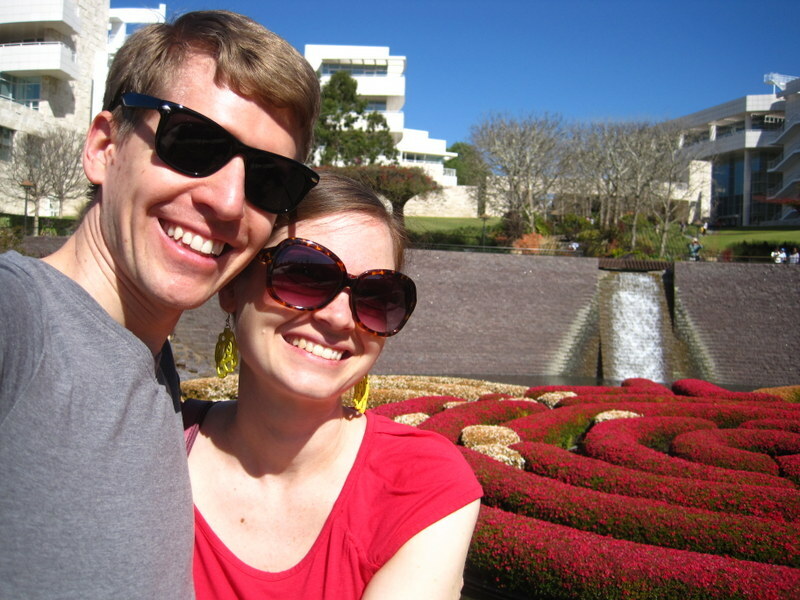 This was part of our project to get out and explore a bit before the baby comes, and we had an awesome time. 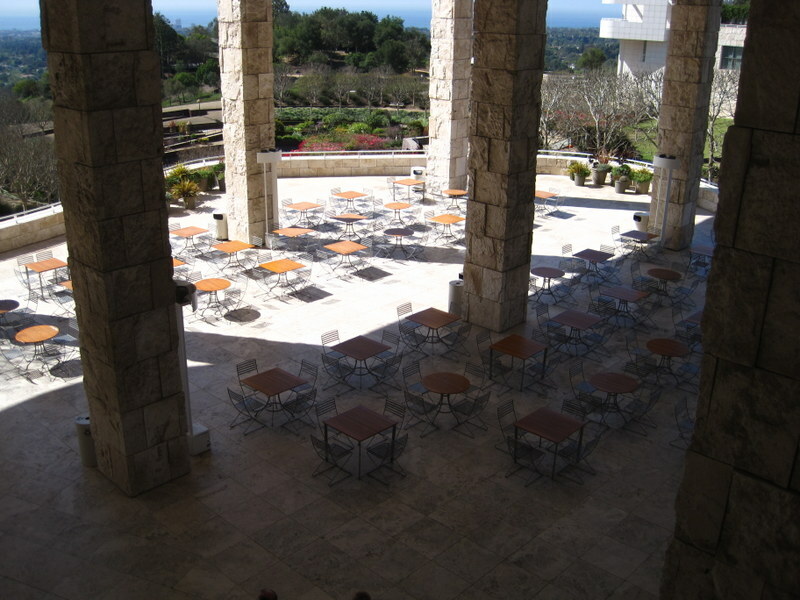 The Getty is built out of huge rough-hewn blocks of Italian travertine, and the whole complex is just gorgeous. It reminded me so much of Europe. 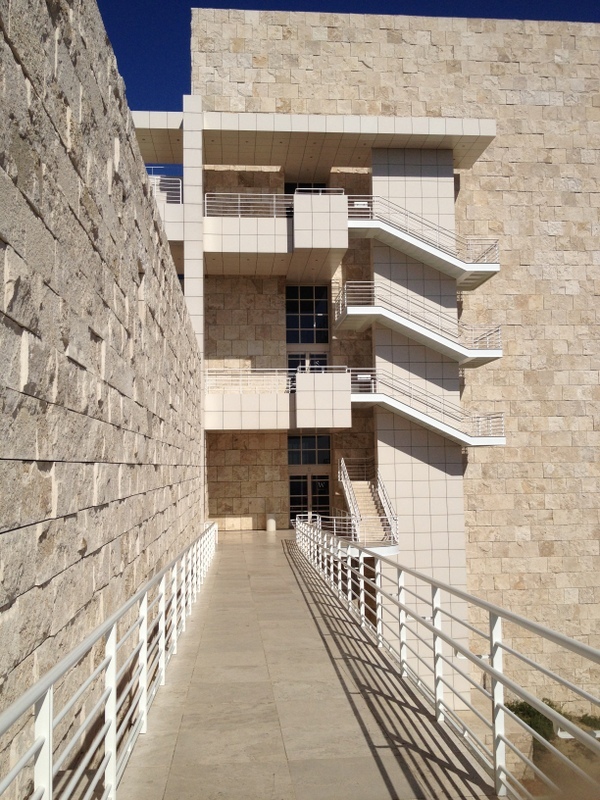 And before I forget, I have to tell you one of the best things about the Getty: it’s free! You have to pay $15 to park, but when you divide that between the people in your car, that is really dirt cheap for so many galleries and gardens. Attention, future out of town guests: you will be coming here with us! From the garage, you ride a little train up to the Center. It was a gloriously sunny and cool day, and we spent our time waiting for the train reading the little schedule for the day that they gave us. 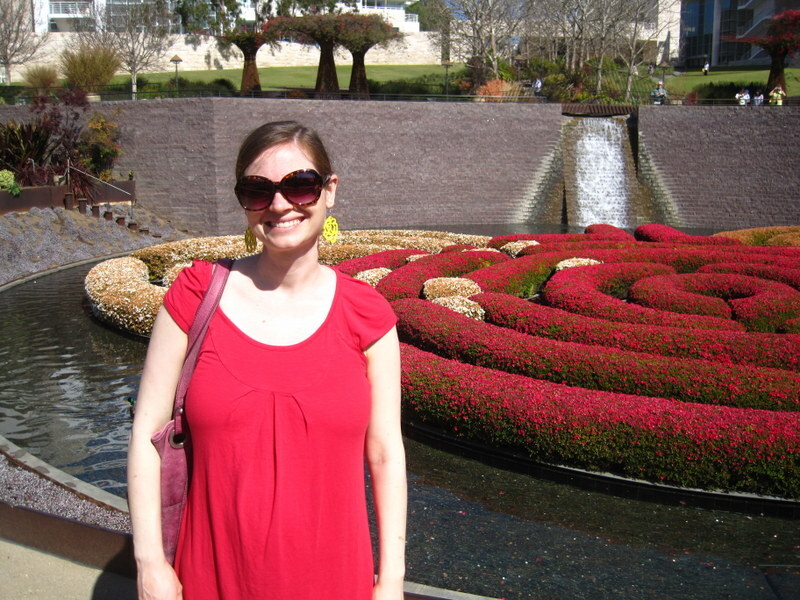 There was such a fun feeling of being transported to a magical world of art! 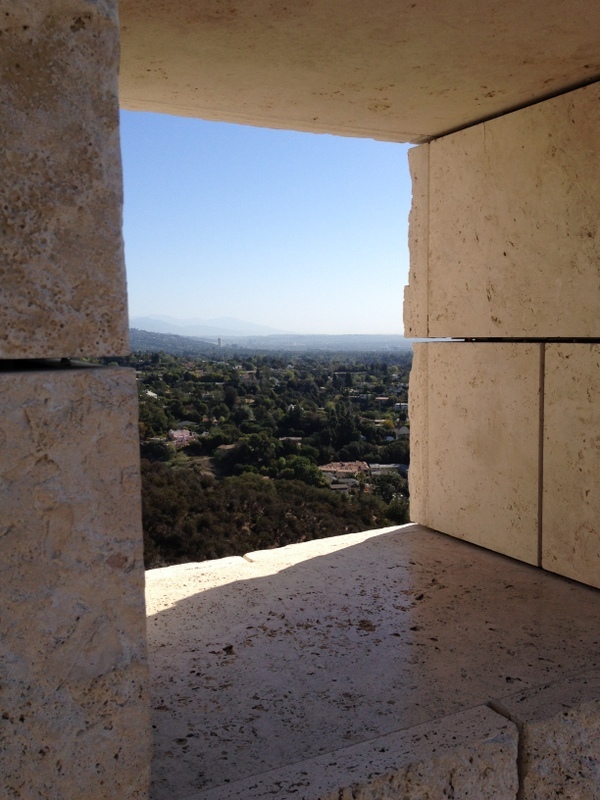 This is a bit off the beaten path, but it’s a great view of the travertine. And a view through one of the walls. 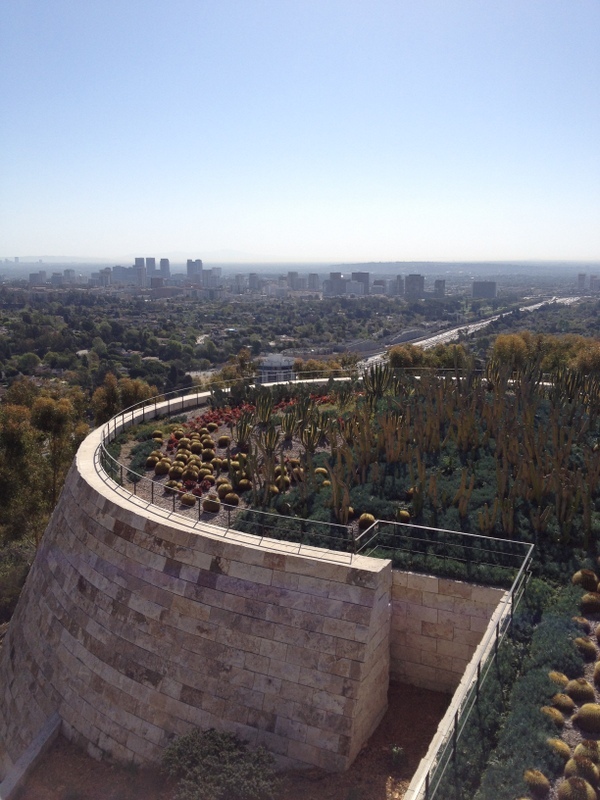 This is the cactus garden out at the edge of the property. I love the castle feeling! And the central pond. I didn’t realize I matched the flowers! There are many excellent things about Eric, but one of them is that his arms are long enough to get us both in the frame when he’s holding the camera. Oh yes, I married well. 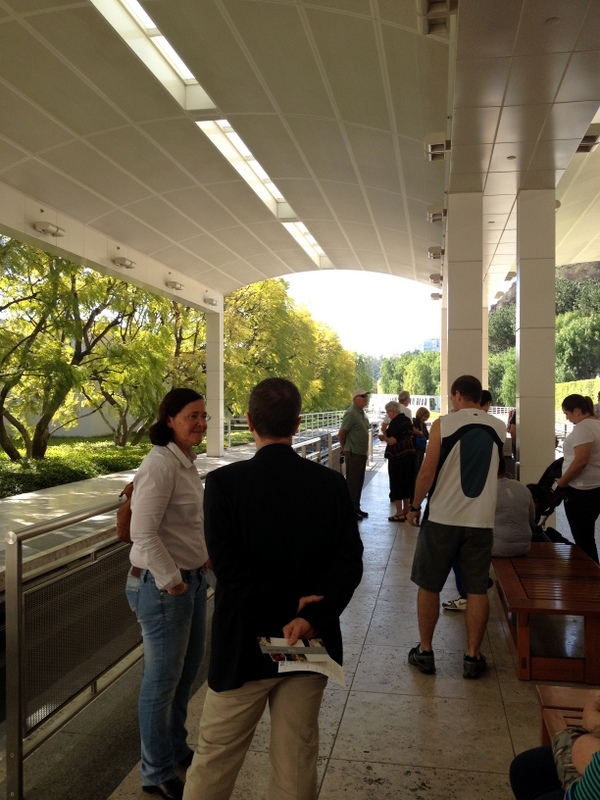 Another charming thing about the Getty: sun umbrellas. And this. Tell me you didn’t just think this was Paris for a second. After exploring a few galleries, we had lunch out on the patio (random fact: best pickles I ever had in my life!) 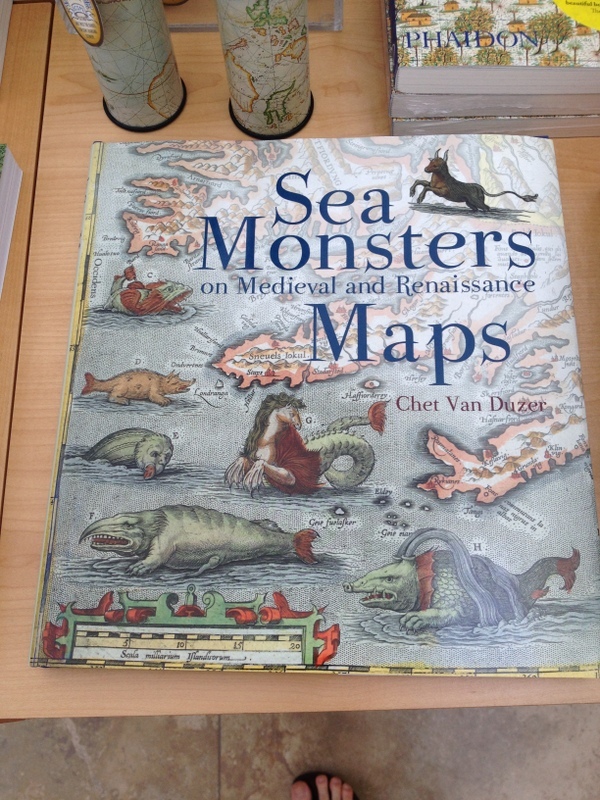 and headed to the map exhibit in the Research Center. Yes, maps! I didn’t take any photos inside, but clearly I needed to make a note of this book for future reference. 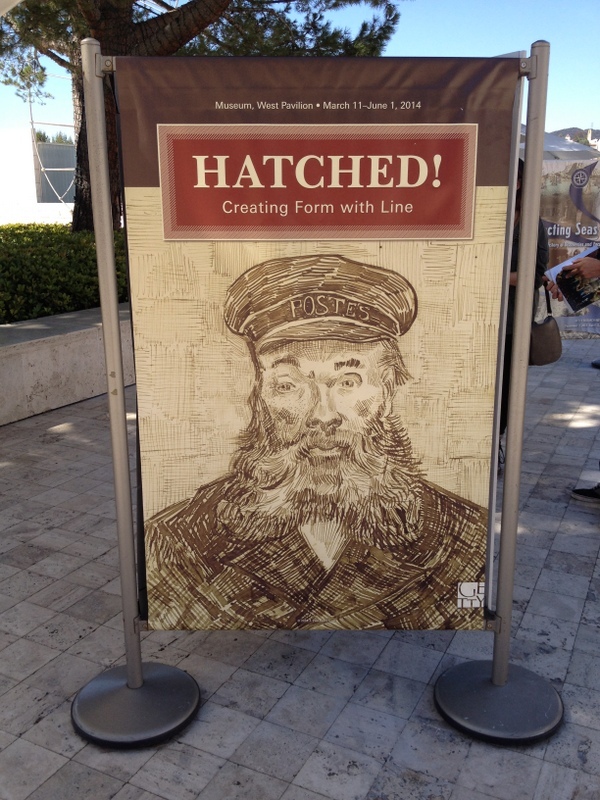 My favorite exhibit, though, was the one on hatching. There were some incredible drawings in both pen and ink, and they even had magnifying glasses so that you could see the lines close-up. Drawing with ink is something I’ve wanted to try for a long time, and this gallery was very inspiring. As we were about to leave, we discovered this: the sketching gallery. 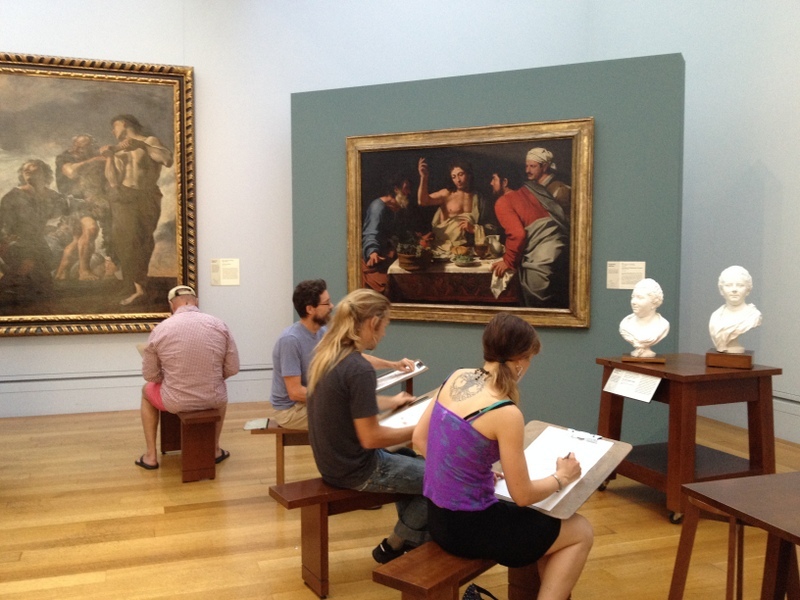 They give you paper, charcoal or pencils, and a place to sit and draw. *Amazing. * I wish I hadn’t been so tired because it would have been really fun to try. Ah well, next time! It was a really fantastic day, and we didn’t see even close to everything. 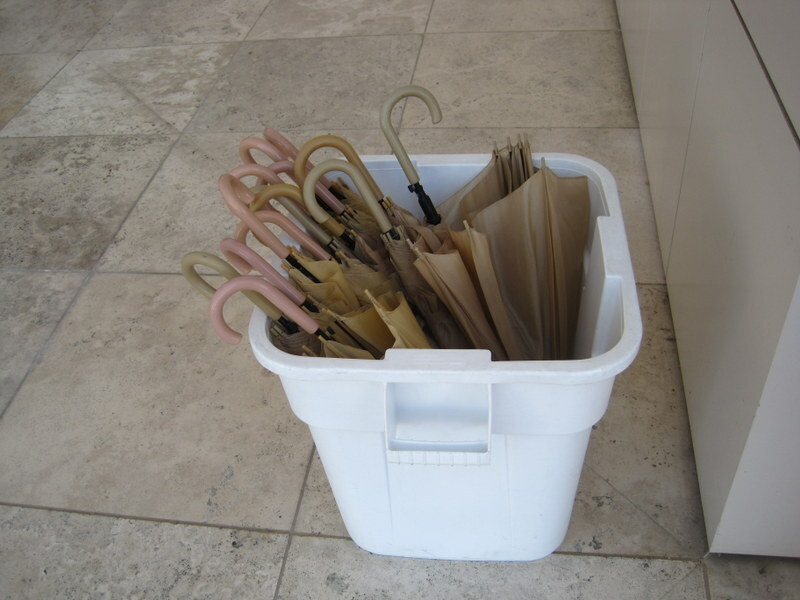 I like knowing that more treasures await us next time. How cool! Definitely a place we need to go in the future. 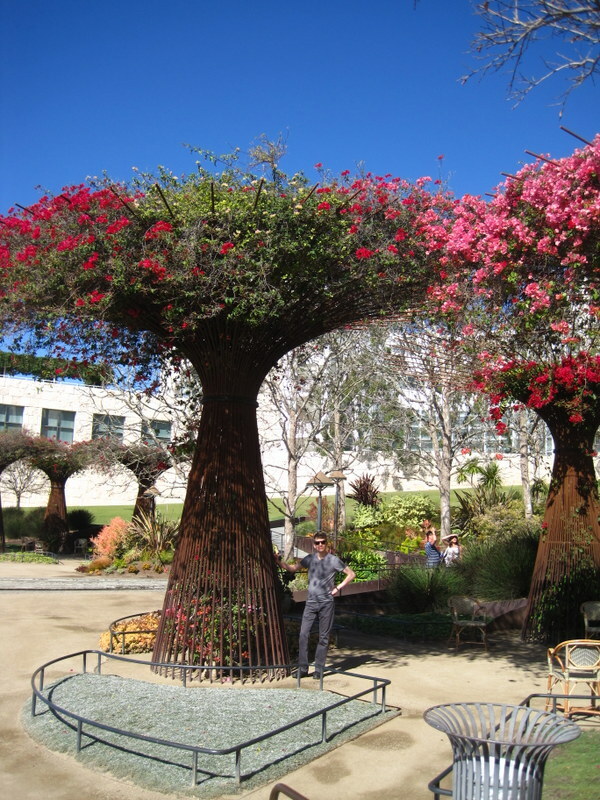 and now I’ve been to the Getty as well, loved learning about a nifty place and it does look like you planned to match the flowers in that photo, honest!! Thank you! What can I say, I like bright colors! Actually, a lot of my dresses are hand-me-downs from my mom–apple doesn’t fall far from the tree! 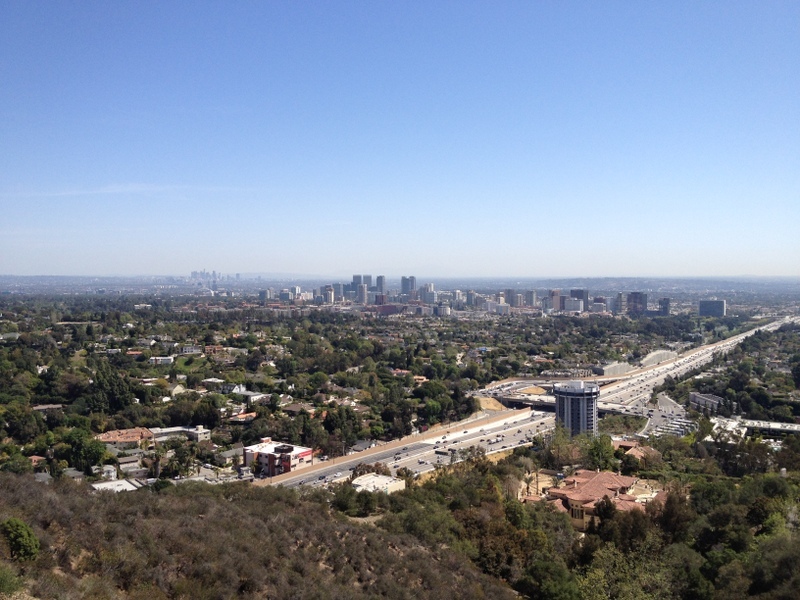 Haven’t been to LA in ages, but my daughter went some years back and was very impressed. But no pictures! So thank you for those, it definitely looks worth a visit. Thank you! I am so glad we are getting out and doing some exploring further afield before the baby comes. Lots of wonderful things to see here!